Just like with humans, other creatures including fish, need the right nutrients in the proper amounts to maintain good health. A poorly balanced diet can lead to severe and irreversible health problems and a compromised immune system. Several examples of observable issues in nutrient-deprived fish include lateral line or fin erosion, a lack of proper color, weight loss, disease, and oftentimes lethargy. Fish require a specific line up of nutritional components just like humans do. This includes protein, lipids, vitamins, minerals, fats and carbohydrates. To meet your fish’s needs, you should strive to deliver a balanced diet as a basis of your feeding regiment with variation as a treat. Most often this can be accomplished using a combination pellets, flake, frozen, freeze dried, or fresh foods (which we do not recommend due to potential bacterial risks). Many fish keepers think the ingredient panel is all they have to look at to know which diet is best for their fish. The fact of the matter is this couldn’t be farther from the truth. The most important thing is how each of the nutrients is balanced in the diet to allow your fishy friends to access them. Higher protein that cannot be properly assimilated is of no value. The same is try with necessary trace minerals and vitamins too. If they are in the diet, but the overall nutrient mix is not properly balanced the fish may not be able to access them. Additionally, a food that is not properly balanced will typically cause more waste which can further harm your fish as their environmental conditions degrade. At Hikari® we spend lots of research time and money to make sure the diets we offer are scientifically balanced to unlock all the nutrients your fish require. This is one of the reasons we started talking about “species specific diets” many decades ago, long before it was fashionable. We know that different species require different nutrients and unlocking them for use by the fish is most important to long term fish health. 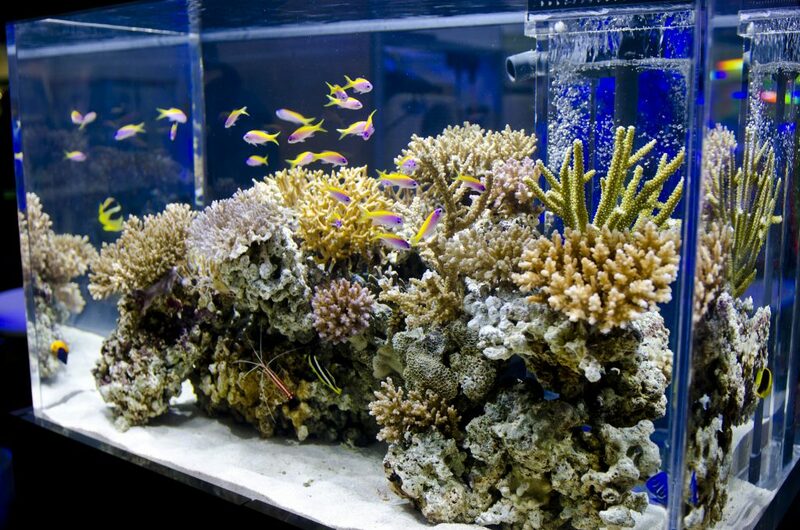 Whether you are new to aquarium-keeping or an old hat, it’s important to check in with your local aquatic professionals about which nutrients your fish population needs. Remember a properly balanced diet offering the package of nutrients you aquatic pets require is one of the most important things you can do for your fish. Keeping them well-fed with what they need is the only way they can thrive and live a life much longer than they would in the wild.